Known as “Motor City” or “Motown,” Detroit offers an experience truly in touch with American tradition. Experience a thriving music scene, roam the Henry Ford Museum, go shopping, or take your family to the Detroit Zoo. 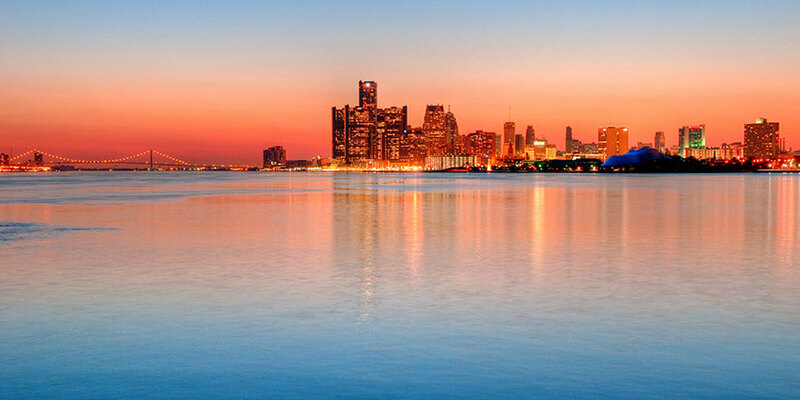 Built along the Detroit River and bordered by Lake St. Clair and Lake Erie, the city’s rich history as one of the world’s largest inland ports is infused in every moment you’ll spend while on your Detroit vacation.